Liwa Oasis is the historical home of the Nahyan family, the leaders of Abu Dhabi emirate and the UAE. It was historically, and remains to this day, a date-palm cultivating region for bedouin tribes, especially the Bani Yas. The cultivated palm forests may come as a surprise in the middle of the desert. 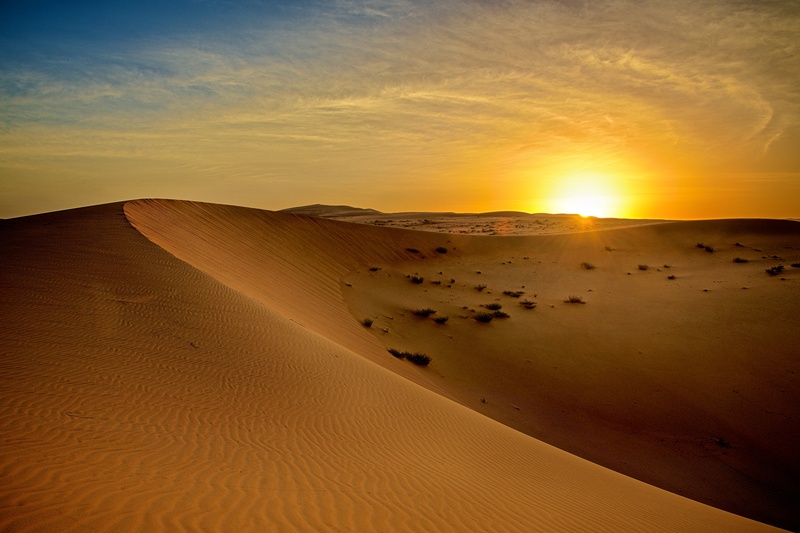 Liwa is at the edge of the UAE’s most impressive desert region, when considering the size of the dunes. It is a great launching off point for self-led or pre-arranged dune-bashing and other desert safaris. It may also be a good place to learn more about Bedouin culture, though most of the settlements are by now built of concrete, and walled off to the rest of the world.